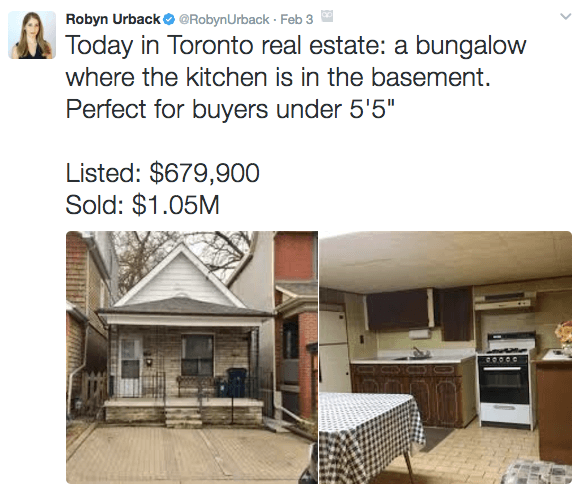 With Toronto real estate prices soaring 22% last year, and expected to increase by 25% or more this year, the housing plague has gripped Toronto residents. Economists and other market experts are now sounding the alarm bells. But similar to Vancouver, those alarm bells are falling upon deaf ears. 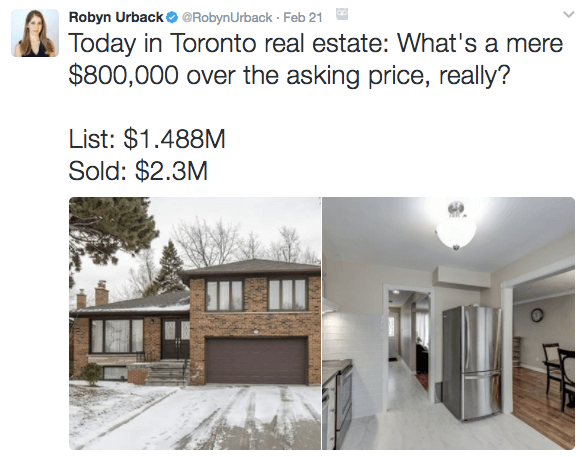 Toronto Realtors say a foreign buyers tax in GTA would be misguided. A poll of Realtors claims foreign buyers only make up a paltry 5% of all transactions. Ontario governments refuse to track the data. 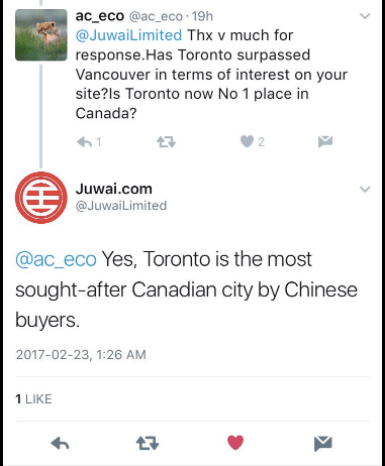 Meanwhile, Juwai- China’s largest real estate search portal says otherwise. 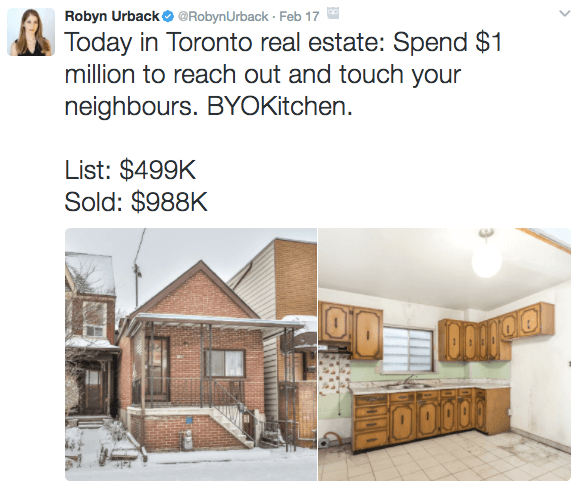 Toronto developers claim there is a housing shortage. However, just a few years ago there was major oversupply of condos. Further, builders completed more than 54,000 apartment units over the past two years, easily a record for Toronto. Population growth in Toronto sits at 4.5%, below the 5% Canadian average.. I feel like we’ve seen this before… Like a reoccurring nightmare you just can’t shake.